Scratch-made Orange Zest Pound Cake with Orange Curd is buttery and soft with a light citrus flavor. 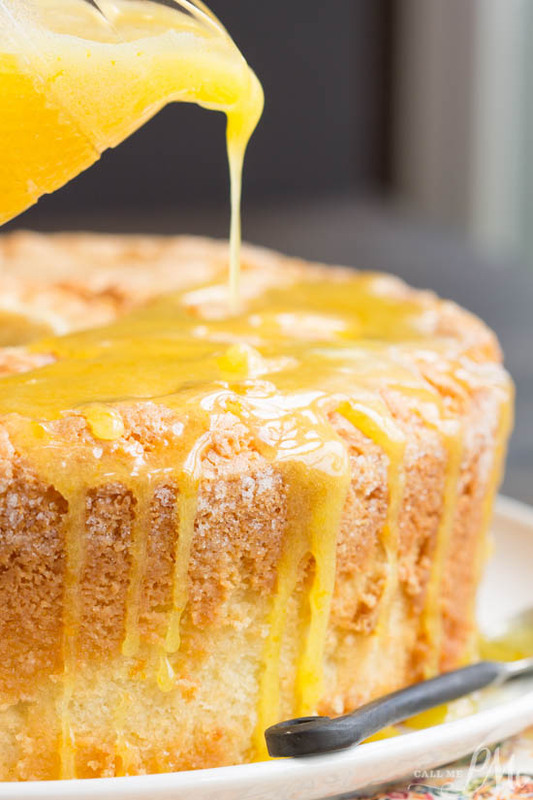 The Orange Curd is luscious, sweet, slightly tart, and adds just enough zing to the cake. This recipe combo of cake plus curd is dessert heaven. 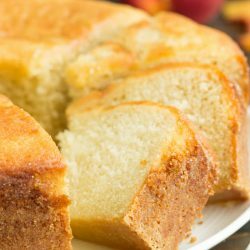 This pound cake is both dense and moist with a small crumb. 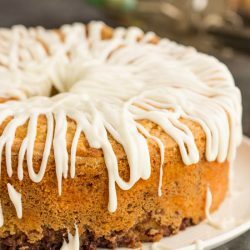 It’s full of orange flavor with both orange zest and orange juice in the cake. 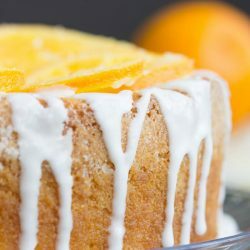 Orange Zest Pound Cake is sweet without being overly sweet and the Orange curd adds just the right about of kick. Coincidentally, the orange curd and vanilla ice cream makes a delicious and tasty dessert on its own. My favorite way to eat a pound cake is warm from the oven with a scoop of vanilla ice cream. This definitely holds true for this Scratch-made Orange Zest Pound Cake with Orange Curd. Therefore, when cooking the curd, time it so that the curd is still warm when the cake comes out of the oven. Warm sauce plus warm cake and cold vanilla ice cream is the best dessert ever. 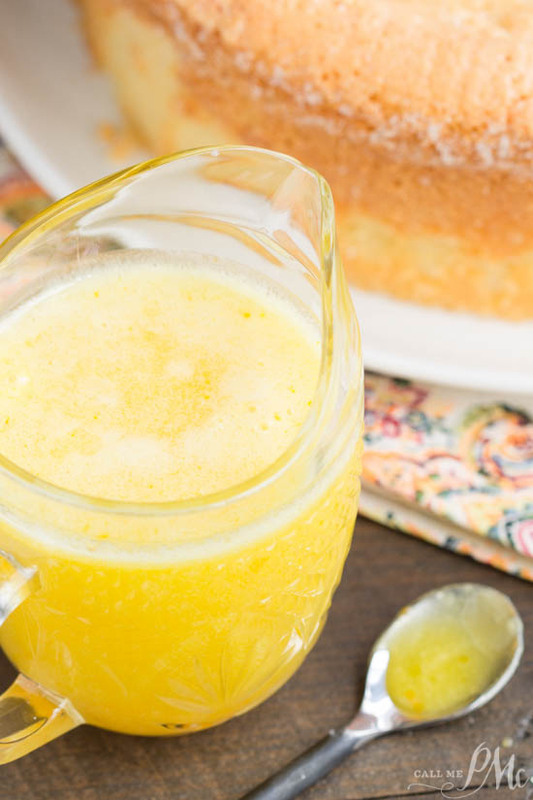 This pound cake is great and the Orange Curd is a must. Don’t leave it off. 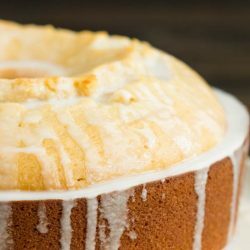 Pound cakes are a very basic cake to make and easy to master. 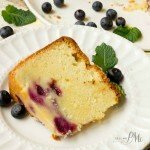 I gave a lot of tips for making pound cakes here and in this post for Whipping Cream Pound Cake. Most importantly is measuring the flour correctly and having the ingredients at room temperature. I suggest you click over and read through those tips if you’re a rookie baker. Pound cakes are dense and take a long time to bake. Be patient, it’s well worth the wait. Like traditional pound cake, my Scratch-made Orange Zest Pound Cake with Orange Curd has that nice crust on the outside while remaining tender and soft on the inside. Coincidently, pouring the curd over the cake makes a beautiful presentation and is a great idea if you’ll be serving it immediately. 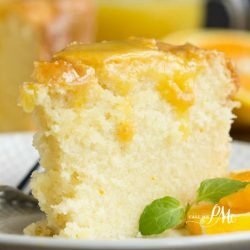 However, if you don’t plan to serve it immediately, I would serve the orange curd on the side so that you keep that nice crisp outside to the pound cake. I’m all about the texture when it comes to pound cakes. Scratch-made Orange Zest Pound Cake with Orange Curd is buttery and soft with a light citrus flavor. 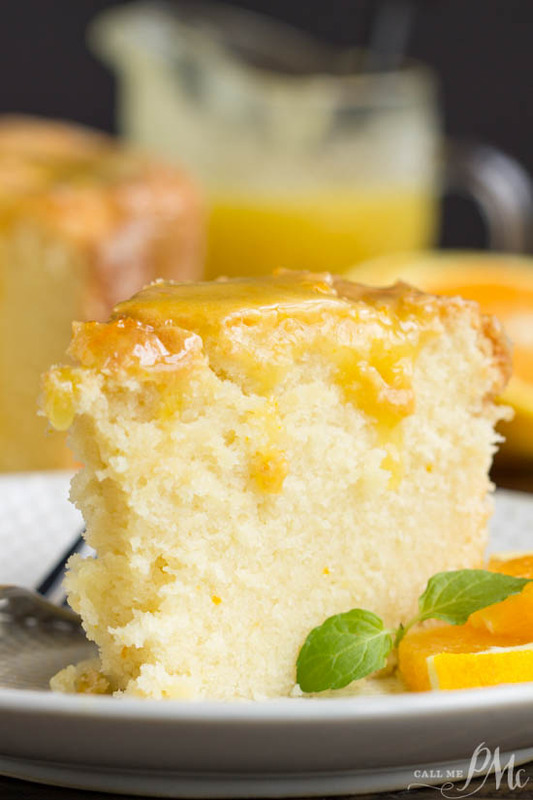 The Orange Curd is luscious, sweet, slightly tart, and adds just enough zing to the cake. Grease a 10-inch tube pan with solid vegetable shortening. In the bowl of an electric mixer, beat butter and shortening. Add sugar and beat at medium speed until light and fluffy. Add the eggs, one at a time until the yellow disappears. Sift the flour, baking powder, and salt together. Add it alternately with the milk and orange juice, beginning and ending with the flour mixture. Stir in lemon zest and vanilla. 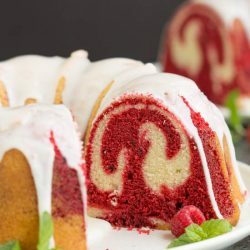 Bake at 325 degrees F for 1 hour 20 minutes to 1 hour and 30 minutes or until a long wooden pick inserted in the center of the cake comes out clean or with dry crumbs. Cool cake in pan on wire rack 20 minutes before inverting it on a serving tray. Use immediately or refrigerate up to one week. can I use cake flour in place of all purpose flour? Do you flour your pan? The directions say grease but not flour. I had to use a sharp knife and run around the outside and inner cone to get it out and most of the bottom crust stayed in the pan, but I scraped it out and ate it! It was yummy! Can’t wait til it cools and I put the orange curd on a slice!! I use solid vegetables shortening then instead of flour I use sugar, but I still run the knife around the edges. I have actually found the cakes with fruit, especially the lemon and orange ones tend to stick more too. I just made a new lemon one this morning and I had to work with it to get it out. You stated the cake should bake at 235 correct? Ack, no 325~! going to correct that now! So super tasty and easy to make, I love it! 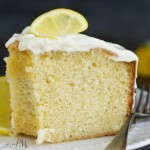 This pound cake looks so moist and delicious and I will be making it soon! Thanks for sharing the recipe, Paula! 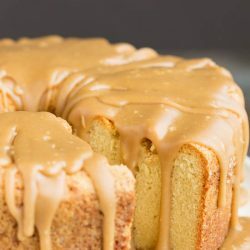 Could this be made with a orange buttercream glaze instead of the curd? My family loves icing and frosting on most cakes.